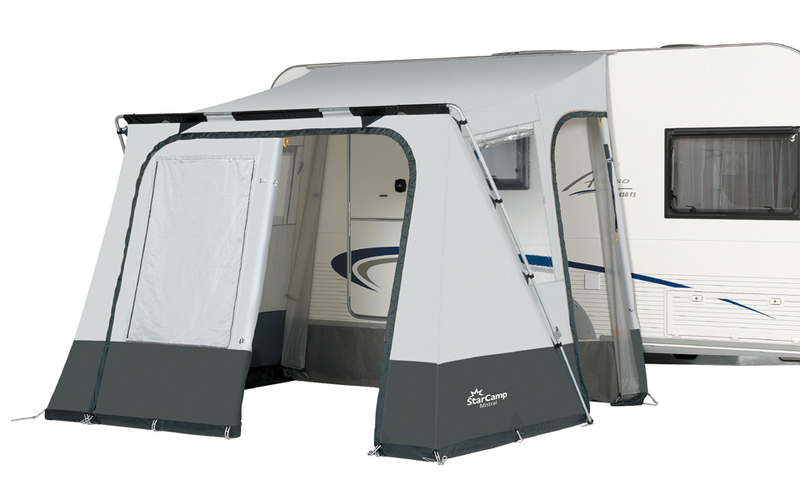 Extremely quick to erect and ideal for caravans that require a spacious no nonsense porch awning the Mistral Ripstop is produced in extra strong Weathertex 4000 mm polyester for that extra peace of mind. You can choose from two colour combinations: blue/grey and charcoal/grey. 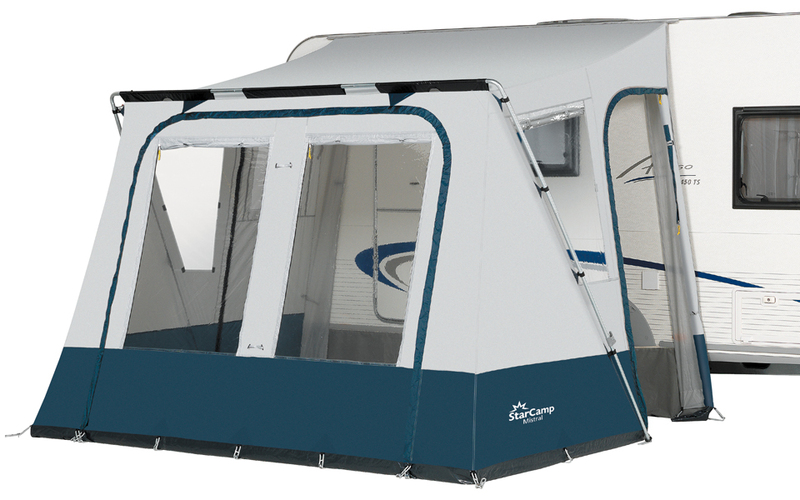 The Mistral Ripstop is designed to fit caravans from 235-255 cm in height and has a depth of 240 cm and a width of 300 cm. The roof and walls are made of extra strong quality Weathertex 4000 mm polyester which is PU coated for added weather protection. The front panel is able to be zipped out while the side panels have zippable panels doors that can be either closed or left open and have mesh flyscreens fitted to both doors. A simple steel frame gives this awning its light weight of just under 12 kg but also gives it strength, this also means it can be erected quickly and easily in around 15 minutes. Ladder straps are used to secure the awning to the ground.